The US on Friday gave its full backing to Israeli efforts to counter Iran’s “aggressive adventurism” in the Middle East, just days after Iranian military facilities in Syria were targeted in alleged Israeli strikes. “The United States fully supports Israel’s right to defend itself against Iranian regional actions that endanger Israeli national security and the safety of the Israeli people,” deputy State Department spokesperson Robert Palladino said in a statement. “Iranian support of and supply to terrorist groups in Syria and across the region that have the clear intent and capability to strike Israel are unacceptable,” he added. The airstrikes late Tuesday and early Wednesday, which an unnamed Israeli defense official told The Associated Press targeted several Iranian sites, were the first attributed to Israel since US President Donald Trump’s sudden announcement this month he would pull all American troops from Syria. That move has sparked concern in Israel, which has accused archenemy Iran of working to establish a military presence in Syria that could threaten the Jewish state and be used to transfer weaponry to the Hezbollah terror group in Lebanon. “The United States fully supports Israel’s right to defend itself against the Iranian regime’s aggressive adventurism, and we will continue to ensure that Israel has the military capacity to do so decisively,” Palladino said. Also Friday, Trump’s National Security Adviser John Bolton said he will visit Israel and Turkey in January for talks on regional security as the US moves forward with the troop pullout from Syria. “We will discuss our continued work confronting security challenges facing allies & partners in the region, including the next phase of the fight against ISIS, as the U.S. begins to bring troops home from Syria,” he wrote on Twitter. Despite domestic and international criticism over the Syria withdrawal, Trump has defended the move and said Wednesday he was not concerned it would endanger Israeli security by emboldening Iran, pointing to extensive US military aid for Israel. “I told Bibi. And, you know, we give Israel $4.5 billion a year. 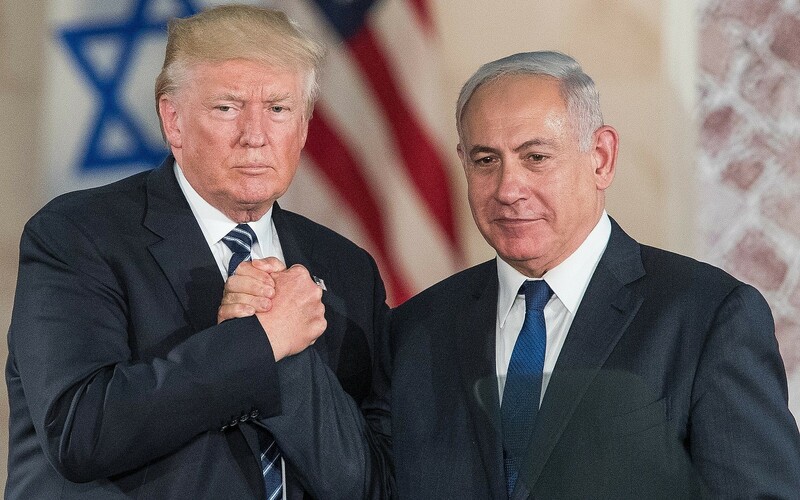 And they’re doing very well defending themselves, if you take a look,” Trump saidduring a visit to US troops in Iraq, using Prime Minister Benjamin Netanyahu’s nickname. Israel has repeatedly warned in recent years that Iran is seeking to establish a military presence in Syria, where it is fighting alongside Russia and Hezbollah on behalf of Syrian President Bashar Assad. This entry was posted on December 29, 2018 at 6:46 AM and is filed under Uncategorized. You can subscribe via RSS 2.0 feed to this post's comments. You can skip to the end and leave a response. Pinging is currently not allowed.